Please contact Mollie Cecconi in Representative Peisch's State House office with requests for assistance. If you prefer to communicate directly with Representative Peisch, please give Mollie your contact information and Representative Peisch will call or email you directly. The internship program in the Office of Representative Peisch is full for the Spring and Summer of 2019. Please contact Staff Director Corey Testa at Corey.Testa@mahouse.gov with any questions regarding an internship. Representative Peisch filed special legislation on behalf of the town of Wellesley in January 2017. The bill H.3724 An Act relative to the other post-employment benefits trust fund of the town of Wellesley would create a new Special Act to amend the Special Act the town of Wellesley previously adopted (Group Insurance Liability Trust in 2004) which allowed the funding of Other Post-Employment Benefits (OPEB). In 2004, Wellesley was charting new territory in funding this liability and it has since become clear that changes to the original Special Act are necessary. 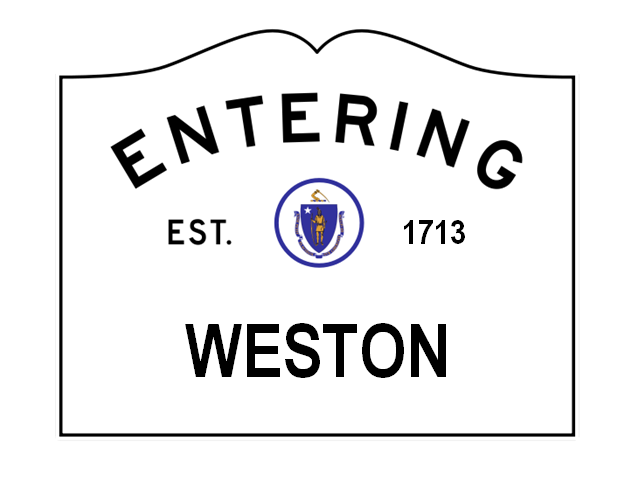 The Municipal Modernization Act of 2016 addressed the key issue of setting up a legal trust, but also added provisions that are contrary to the town's original intentions, thus leading to the Wellesley Town Meeting authorizing the pursuit of new language. When the new special legislation is approved, Wellesley's town account will meet the accounting standard required for OPEB funds to be in an irrevocable trust. This will also allow Wellesley's Retirement Board to maintain supervision and management responsibility over the OPEB Trust. Further it allows that any eventual expenditures from the OPEB Trust will be determined by the Retirement Board and the town's actuary as opposed to being subject to a Town Meeting vote. 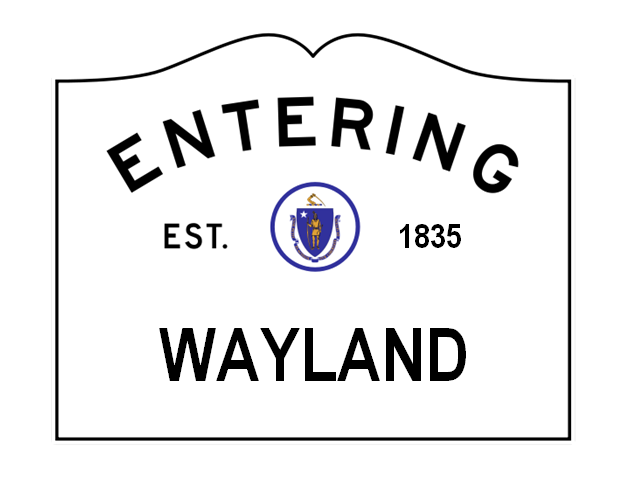 On Tuesday, January 3rd, An Act exempting all police personnel in the town of Wayland police department from the provisions of the civil service law was enacted by the House and Senate, and has been sent to the Governor’s desk to waiting for his signature. The legislation will remove police personnel in the category of new hires and those being promoted from the provisions of civil service. Existing police personnel remaining in their current status would not be affected by this bill. The primary reason for this legislation is to improve the town of Wayland’s ability to recruit and hire the best potential candidates for the police department. This measure was overwhelmingly approved by Town Meeting members at the most recent Special Town Meeting. In July of 2014, MassDOT began construction to rehabilitate the Commonwealth Avenue Bridge and a 1.4-mile stretch of the median from the bridge to the Dalton Street overpass. In early December of 2015, MassDOT briefed the MetroWest legislative delegation on their plan to accelerate the replacement of the Commonwealth Avenue Bridge by implementing further lane restrictions in July/August of 2016 and July/August of 2017. Travel would be restricted to either the East or West side of the Mass Pike, with two lanes of travel in each direction, while the Commonwealth Avenue Bridge is being demolished and replaced. In late February 2016, MassDOT announced that, due to a design flaw, the traffic shift will not occur until the summers of 2017 and 2018. All previously closed lanes on the Mass Pike (associated with this project) were reopened and will remain open until the beginning of the first shutdown now rescheduled for July 2017. The new All-Electronic-Tolling (AET) system on the Mass Pike was activated on Friday, October 28th. AET is a safer, quicker and more convenient form of toll collection that allows drivers to pay tolls without stopping or slowing down. The project has involved replacing the Mass Pike’s 24 toll plazas with 16 gantries, which are bridge-like structures that span across all lanes and support the technology needed to register an EZ-Pass transponder or take a photo of a license plate in order to charge the toll rate (pictured above). With the implementation of AET, the tolls on the Mass Pike have changed and are now based on distance rather than the number of exits traveled but have been kept revenue-neutral for a driver traveling on I-90 from the New York border to Boston. Work is now being done to remove the obsolete toll plazas on the Mass Pike. Between October 28th and November 22nd the toll booths in the middle lanes were demolished and portions of the roadway was reconstructed. For the second phase of construction, traffic is being channeled through the middle of the former toll plazas, while the rest of the toll plaza structure is demolished and the connecting interchanges are reconfigured to enable more efficient connections to surrounding roadways. During this phase, drivers will be able to travel at a posted work zone speed limit. All work is to be completed by the end of 2017. The MBTA’s new commuter rail schedule went into effect on Monday, May 23rd. Back in January, the MBTA had released a draft schedule for the majority of commuter rail lines, and then held a public comment period on the proposal from January 7th through February 22nd. In response to the feedback Representative Peisch received from constituents, she advocated for changes to the proposed schedule for the Framingham/Worcester line. Specifically, thanks to her work and the outreach of constituents via the MBTA survey, the 510 train was reinstated in the new schedule. Representative Peisch has heard from constituents who are frustrated with the delays, overcrowding, and staffing shortages that are occurring during peak commuting hours since the implementation of the new schedule. She and her colleagues representing other communities along the Framingham/Worcester line are working together to urge the MBTA to make modifications to the line to alleviate these issues. The MBTA is making improvements to the Framingham/Worcester line including the installation of new track and more than 27,000 new ties, which will help “de-stress” the track and reduce the line’s heat-related speed restrictions. The MBTA has tried to minimize the impact of this construction on passengers by performing the work at mid-day to avoid peak commuting hours. Over the past two years the MBTA has been replacing or de-stressing sections of rail to ensure the safety of the Framingham/Worcester Line and when completed, the line will be free of speed restrictions. The commuter rail has always been a priority for Representative Peisch, and she continues to advocate for improvements to the Framingham/Worcester line that will make the service more reliable, and for a schedule that will better serve commuters.